TEHRAN (Tasnim) – Iranian President Hassan Rouhani, in his New Year message, pledged that his administration is resolved to provide the people with more welfare and public services. 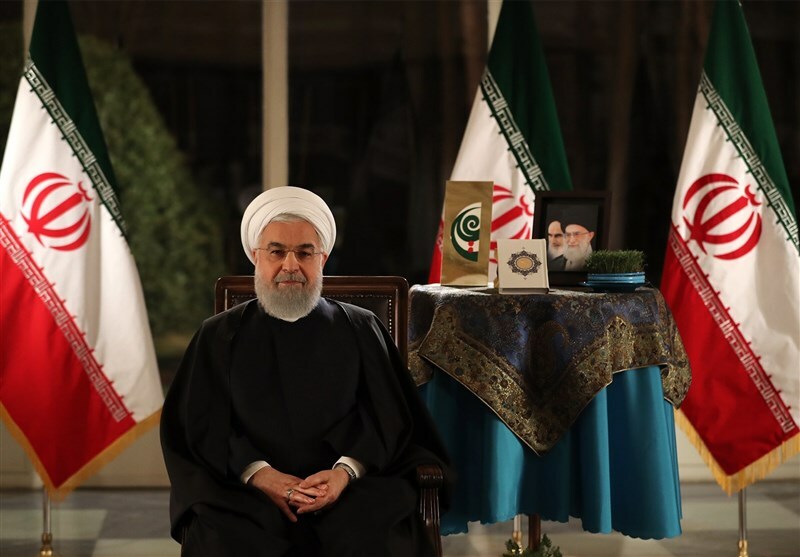 In his televised message to the Iranian nation on the occasion of the Persian New Year early on Thursday, President Rouhani enumerated the achievements and problems that people faced last year and described the New Year as the year of new decisions, national integrity and more efforts. “Next year, we will provide the people with more welfare and public services, and I hope people can access many of the services, including health and medical services, through their smartphones,” he noted. “Today, we are in a battlefield, in which all people should participate in,” the President stated, adding that the absence of even one person can incur losses. “Nowruz means greenness, freshness and leaving the hard days of winter behind, and entering the atmosphere of spring and moderation,” Rouhani said. “Last year was the year of victory against terrorism, the year of victory of the Iranian nation at international organizations and the international court, the year of resistance of the people of Iran and glorious points in history such as February 11,” he went on to say. “The enemy thought that the entire world and its allies would stand by it in these sanctions, but we saw that all countries, except for a few countries, stood by the Iranian nation,” Rouhani noted.